BuildYourNumbers.com offers training for all levels – from beginner to advanced – in two convenient formats: take-home text and online tutorial video. Learn more about our construction accounting and manufacturing program classes and discover our job-cost support products! Is your company losing out because the advanced features you need are buried somewhere in QuickBooks or Enterprise Solutions? Take a closer look at our accounting lessons where you’ll learn how to structure your system, enter transactions, and create the reports that can make a REAL difference in your financial results!.. 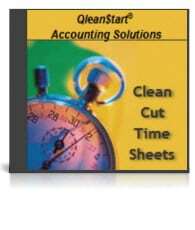 Plus: Substantial discounts on QuickBooks, Enterprise, Intuit and Info Plus Accounting products. Convert Labor Burden to Profits! 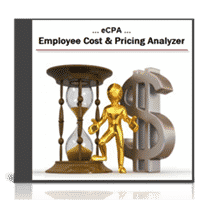 Calculate regular and overtime labor burden and employee billing rates. Display actual, fully-burdened labor costs for each employee (per year, hour, or minute). Compute exactly what to charge to achieve your desired profit on labor costs! Service: You’ll get your own individualized Results Report after we test your most critical job-cost and financial elements. We’ll then collaborate with you to provide an outline of how you can get your system back on track with a customized Action Plan. Put a Clean Start in your Cart! 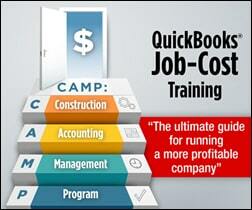 Info Plus created AccountingPRO™ to meet the specific needs of the construction industry. 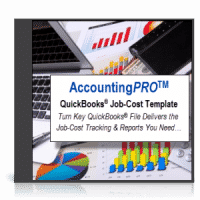 This flexible, pre-built QuickBooks data file not only saves start up time, but is designed to help business owners (or their accountants) more easily and effectively access QuickBooks’ powerful industry-specific data collection, job-cost, and reporting features. 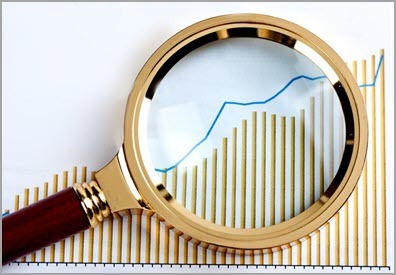 Use your own financial results to estimate and measure the impact of “invisible” costs and lost income. Then, project the financial benefit of a series of small (yet potentially effective) improvements to your financial, operating, and accounting controls. Decide for yourself: Is an investment in tighter controls and better financial info going to have a favorable impact on your bottom line? If you want to see employee job-costs, your first step is for employees to accurately record the time they spend on various jobs and tasks. We originally designed these time sheets for one of our construction clients with both English and Spanish-speaking employees. Over time, we’ve added more templates, features, and options. This set of Excel-based time sheet templates (construction terms included) provides varied layouts, helps to streamline data entry, and is easy to customize for your company. As Intuit Premier Re-sellers, we can access a variety of promotional discounts and special pricing for you. 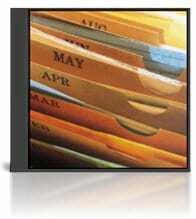 We offer significant discounts on current versions of QuickBooks Pro and QuickBooks Premier. Get the best available pricing on Intuit Enterprise Solutions (all versions).